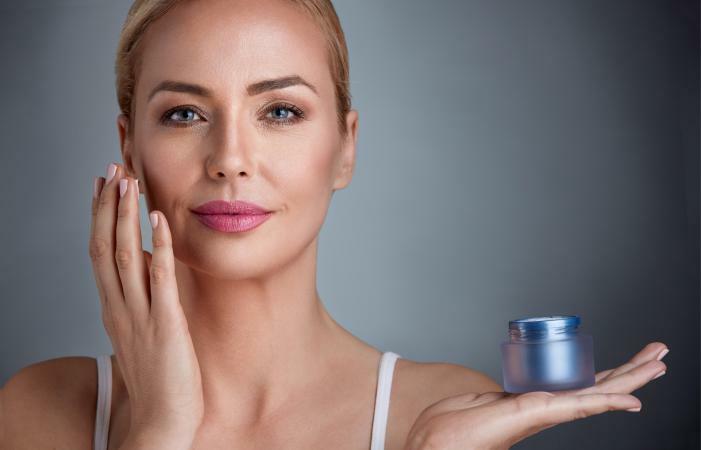 There are a lot of expensive moisturizers available for aging skin and wrinkle reduction, but what about less expensive options? Homemade remedies can be just as effective as many store-bought versions. In-fact, they can be better, because you know exactly what goes into them, and the ingredients are all-natural. There are many ingredients that you can include when making your own moisturizing beauty cream. Using moisturizers on your face and body every day can help reduce the appearance of fine lines and wrinkles, protecting the skin and prolonging the inevitable effect of the aging process. This recipe includes ingredients such as shea butter and cocoa butter, which help to create the creamy texture so easy to use. It's easy to mix your homemade anti-wrinkle cream with just a few simple steps. Make sure that your shea butter is room temperature. Place your measured shea butter into a mixing bowl. Using a fork, mash your shea butter up (like a baked potato). Add your oils and combine the ingredients thoroughly. Next, mix using your hand mixer on its medium setting for about a minute or until creamy. Spoon into your glass jar (plastic is fine, too). It is important to wash your face and apply your moisturizer before your face has dried completely. According to the American Academy of Dermatology, "ointments, creams, and lotions (moisturizers) work by trapping existing moisture in your skin." You want to massage the cream in evenly, using it on the face, neck and body every day. You may refrigerate your cream or store it in a cool dark place. It should last you at least a few months. If it starts to smell rancid, throw it out. The suggested ingredients all have properties which make them beneficial to fight the signs of aging. 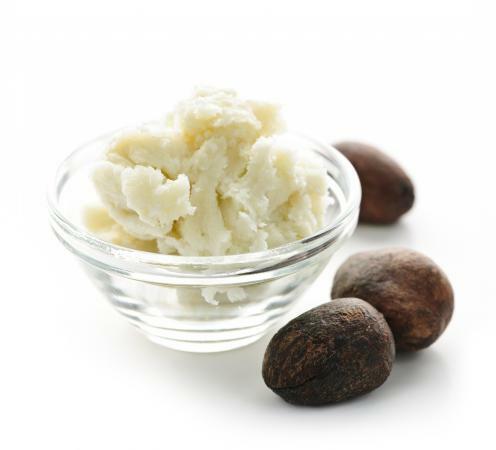 Shea Butter comes from the nuts of a shea tree. It is known for being beneficial for many ailments of the skin, including wrinkles. It is extremely moisturizing and promotes healthy and hydrated skin. Cocoa Butter comes from the cocoa bean. Cocoa butter contains antioxidants: oleic acid, palmitic acid, and stearic acid, which help provide a barrier for your skin from the sun. It is also known for its ultra-hydrating properties for the skin, which help to prevent the effects of age on the skin. Jojoba Oil closely mimics the natural oils of the skin and is a natural emollient, which makes it an oil that absorbs very well. It contains the antioxidants vitamin E and B complex, along with other revitalizing vitamins and minerals important to healthy skin. Apricot Kernel Oil contains the antioxidant vitamin A, and it also absorbs into the skin very well. This oil will moisturize and soften the skin while promoting a healthy glow. 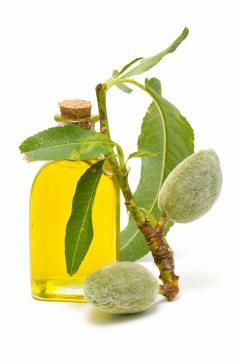 Sweet Almond Oil contains the powerful antioxidant of vitamin E, and is easily absorbed. This oil will moisturize and soften the skin while promoting overall health of the skin. Carrot Seed Oil is full antioxidants called Carotenoids. These help to rejuvenate your skin, reduce the appearance of fine lines and wrinkles, and combat the aging process. Fennel Essential Oil contains several healing properties. It relaxes the mind while toning and moisturizing the skin. There are so many carrier oils and essential oils that are good for the skin. You may have a particular problem other than dry skin that you may want to take care of. If you have acne you may want to add Tee Tree Oil to your moisturizer; its anti-inflammatory properties may be beneficial. If you concerned about tightness and pore refinement, The Organic Authority recommends using Geranium Essential Oil, because it "has natural astringent properties that tighten skin, lessening the appearance of pores, regulating sebum, and toning and firming the skin." You may also want to simplify your ingredients, making it easier to create. If this is the case, simply use one carrier oil such as Jojoba Oil, with one essential oil of your choice. The possibilities are endless. Although many people enjoy longevity in their products, the preservatives that go into many skin care products in order to make them last longer can be harmful to the skin and can cause pre-mature aging. There are also ingredients in many of our skincare products that don't have anything to do with the health of your body. Dr. Edward Group, on the Global Healing Center website, says: "Many traditional skin care products can contain endocrine-disrupting phthalates or parabens," causing unnecessary disruptions in the body. Using products that you know are good for your skin can reduce the signs of aging and promote a healthy body, too.